My husband asked me recently if I might be going overboard with "supplements." A totally fair question as he watched me put together my morning supplement line up of vitamins, organ complex pills and magic mushroom powders for my coffee. My short answer was "I don't think so," but I couldn't immediately articulate all of the reasons I feel so good about the extra superfoods I include in my every day. So I decided to write it all down. 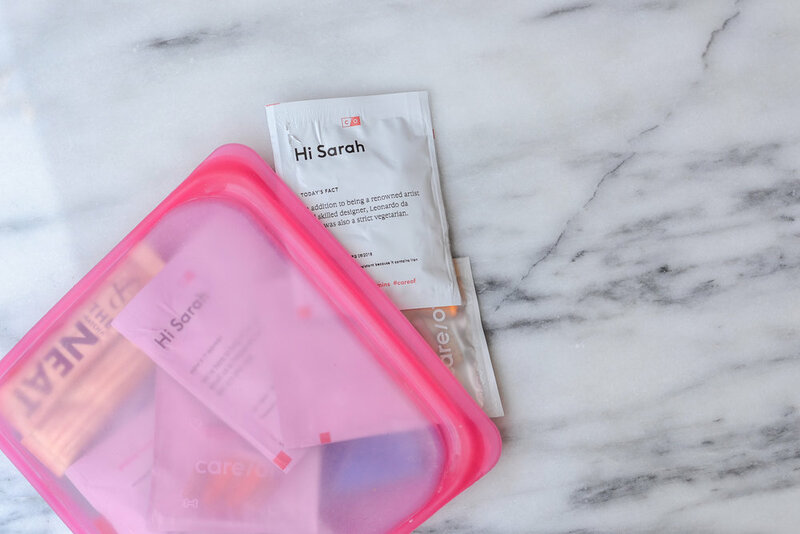 I am pretty loyal product/service wise when I find something I truly love, but there are just so many cool wellness products popping up all the time that occasionally I get fomo and want to switch it up. (I took this New Chapter prenatal vitamin my entire pregnancy and most of this past year and have zero complaints.) 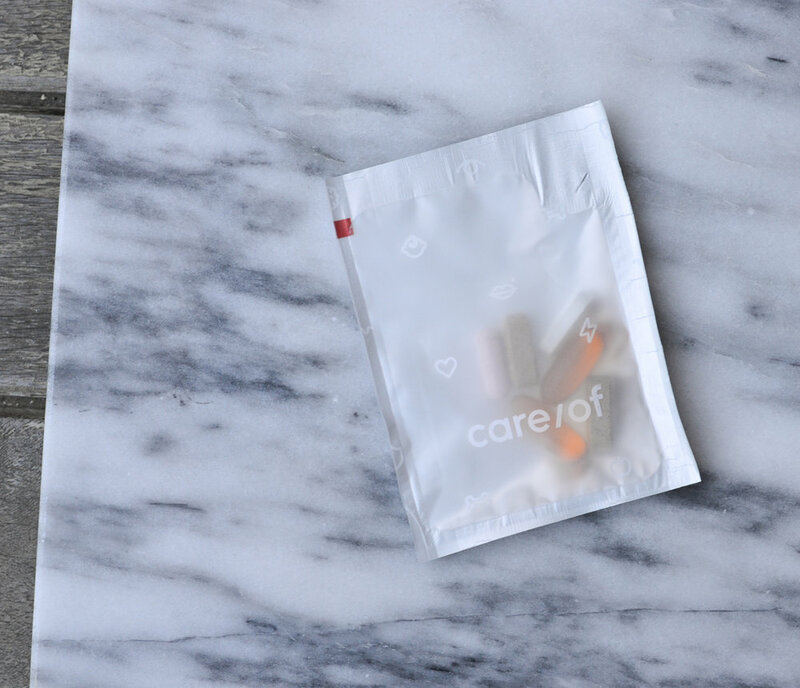 Example: Care/of vitamins. I'm almost two months in with Care/of and I'm pretty hooked. The daily packets are not only convenient and cost effective, they're also informative and/or entertaining. There's a fun fact or suggestion on each and every one. My current packets include a prenatal, fish oil, Vitamin D and Calcium and I noticed a big difference in my energy levels after I started taking this mix daily. I'm not a medical professional (definitely check with your doctor if you have any supplement questions) but this mix was recommended to help support me and Atti during our breastfeeding journey. When you go to the Care/of website for the first time, you are prompted to take a great quiz that allows their professionals to make recommendations for you. With all of the travel I've done in the past couple weeks, these little packets were super handy. I could just toss a couple in my suitcase and not have to worry about carrying around multiple bottles or remembering to put everything in a pill box. This one is freeze-dried beef liver, heart, kidney and brain in pill form. No, wait don't run away! Hear me out. While most of our forbears probably ate them, we don't eat a lot of organ meats in the US. 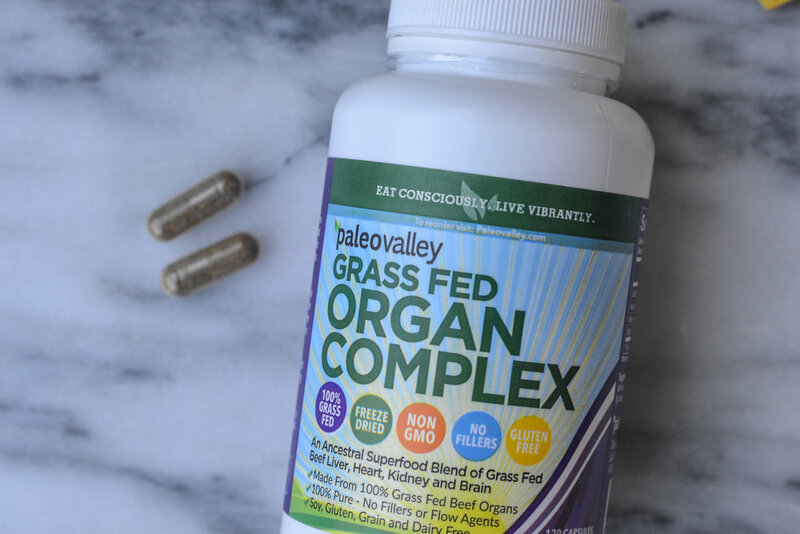 That being the case, properly sourced organ meats aren't always easy to find (US Wellness Meats is a good place to start if you're interested) and many people are not accustomed to the taste but this supplement makes it easy to get a daily dose. The biggest benefit of consuming organ meats is Vitamin B12. It's likely 50% of the US population is deficient in this nutrient and this is the only vitamin that is only found in animal products. We cannot get it from plants or sunlight. A deficiency in B12 can lead to issues like pernicious anemia, vascular disease, stroke, autoimmune conditions, fatigue and dementia. The last two spoke to me very loudly. The reason I take Paleo Valley's supplement is because of the care and attention they put into their products. I highly encourage you to check out their website and read more about this particular supplement. If you do not eat meat, great, I'm glad that works for you. That practice does not work for me. I completely appreciate and agree that the current system for mass producing meat is unacceptable. I choose to spend my money on grass fed, organic meats and I really like the idea of using as much of the animal as possible. Less waste please. Especially because there is so much goodness to be found in things like liver. Powdered mushroom elixers are probably where I really lost Rob. But what I couldn't quite get out during our per-usual rushed and baby-focused morning was that mushrooms are one of the oldest known and longest used superfoods! Mushrooms go way beyond portobello and shiitake. I have been putting lion's mane and their immune boosting "Viking" blend in my coffee every morning for a couple weeks now and I am loving it. As both a stay at home Mom and small business owner I will take whatever edge I can get. 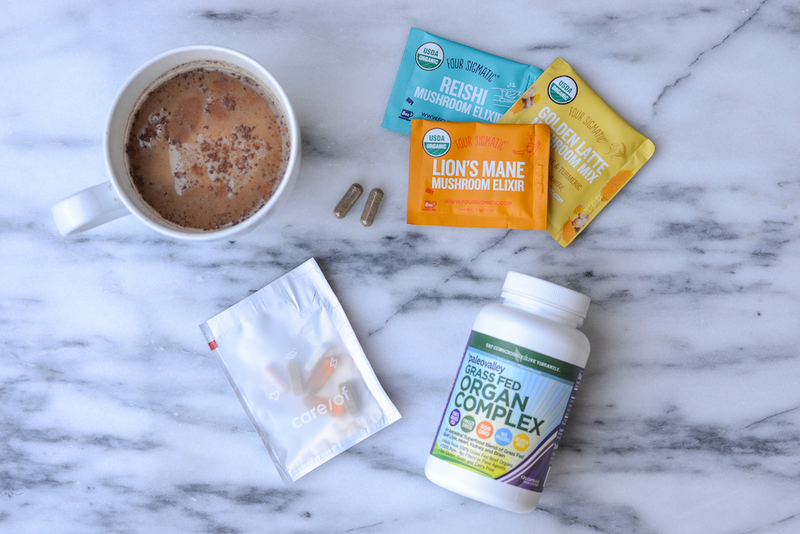 Lion's Mane has known cognitive benefits, supporting both memory and concentration. The Viking blend appeals to me as an easy way to support my immune system. I'm a parent, who doesn't get as much sleep as Ariana Huffington recommends, always seems to have a small hand attempting to shove various things in my mouth and doesn't have time to get sick. I also finally tried the golden latte the other night. It was subtly sweet, creamy and very grounding. Sipping on it helped me to curb an at the time annoying ice cream craving and put me in a cozy headspace before bed. It doesn't hurt that it's also supposed to be good for my skin. I'm a huge proponent of using real foods to support your health whenever possible. That is the real reason I wanted to give these particular supplements a try. Four Sigmatic was having a sale back in June so I kinda went a little crazy and bought the whole line up because I was so intrigued. (See the photo evidence here.) I'm beyond thrilled with my experience so far though and am already placing an order for more. 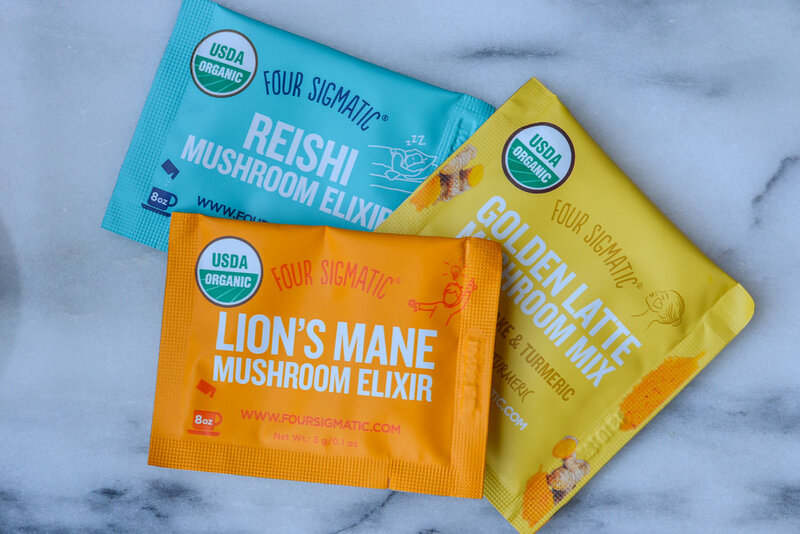 If you're interested in adding a little mushroom magic to your life with Four Sigmatic use this link to get $10 off. I can't currently find a discount code for Paleo Valley, but if/when I come across another one I will be sure to update here and share on social media.